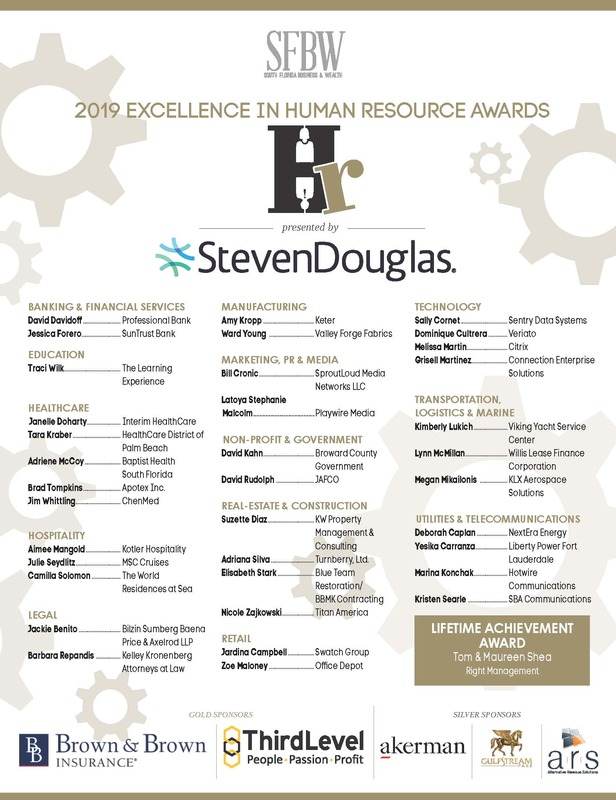 Thank you for your interest in attending the Excellence in Human Resource Awards! This prestigious event will be held on Tuesday, March 19, 2019 from 6:00-9:00 pm at Sport of Kings Theatre Gulfstream Park (501 South Federal Highway). The evening will feature a celebratory reception inclusive of cocktails and hors d’oeuvres followed by a sit-down dinner and awards program. To purchase your tickets for this event, please register here. Partnering with SFBW on our signature events will position your organization in front of more than 117,000 of South Florida¹s top, C-Level executives through our publications and digital media. In addition, partners are given the opportunity to mingle with the area’s business elite at our exclusive networking events and cocktail receptions. WHY SPONSOR A SFBW SIGNATURE EVENT? Our high profile award programs and events generate new business opportunities through brand awareness, sales leads, networking and entertaining. These awards bring together the community in a positive way to recognize, reward and celebrate outstanding professionals and community advocates. Sponsors will benefit from visibility in our multimedia marketing campaign including both print and digital promotion. The promotional period will commence six months prior to the awards event. Sponsors will receive advertising and branding through the South Florida Business & Wealth publications, our website, social media, email blasts sent to over 50,000 local professionals, the awards special section and in the awards day program. Ellen Charleton, Vice President of HR of Sun Capital Partners, Inc.
Marina DeMaio, Chief Human Resources Officer of MDLIVE, Inc. Candidates will be judged on both their professional and community achievements, as well as demonstrated success in a leadership role. We’re looking for nominees who have a compelling and inspirational story, so be sure to define their path to success, their unique talents and accomplishments, their contributions to the community, and their overall successes. Judging is based solely on the online nomination form and any supporting documents provided. 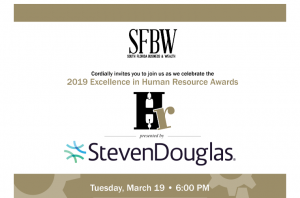 Nominees will be reviewed and final honorees selected by the SFBW editorial staff.